Cryptocurrency miners can pose a serious threat to industrial systems and it’s not uncommon for this type of malware to make its way into operational technology (OT) environments. Industrial cybersecurity firm Radiflow reported last week that it had identified a piece of malware designed to mine Monero on a human-machine interface (HMI) system at a wastewater facility in Europe. The company warned that the resource consumption associated with this type of malware can severely disrupt plant monitoring tools and the affected organization’s response times. Cryptocurrency mining malware has become increasingly widespread and it has recently been found even on numerous government websites in the United States, the United Kingdom and Australia. This type of malware is also fairly common on industrial systems, according to several cybersecurity firms contacted by SecurityWeek. A study conducted last year by Dragos showed that roughly 3,000 unique industrial sites had been hit by traditional, non-targeted malware. The company discovered approximately 6,000 malware infections, including instances of cryptojacking, said Robert M. Lee, CEO and founder of Dragos. Kaspersky Lab ICS-CERT told SecurityWeek that roughly 3.3 percent of the industrial control systems (ICS) monitored by the company between February 2017 and February 2018 were targeted with cryptocurrency miners, with an increasing trend observed since September 2017. Darktrace, a security firm known for its AI-based defense technology, said it had identified more than 20 cryptocurrency miner attacks over the past six months among its customers in the energy and utilities sectors. Overall, Darktrace said it had identified more than 400 crypto-mining related incidents across 5,000 customer deployments in more than 30 industries. There has been a steady increase in the number of detections, with roughly 100 mining scripts and cryptocurrency malware incidents detected in January. 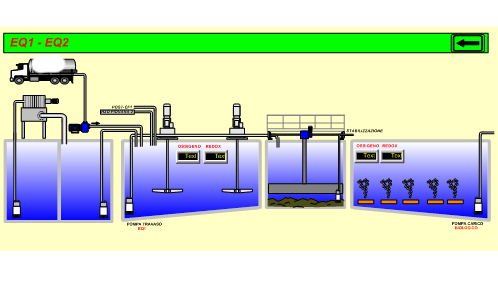 CyberX used the Shodan search engine to locate a European wastewater facility infected with cryptocurrency mining malware. Just like in the incident described by Radiflow, the threat had been found on an HMI device running CIMPLICITY software from GE Digital. The industrial cybersecurity firm managed to grab a screenshot of the infected HMI. While the infection vector is not known, CyberX VP of Research David Atch pointed out that older versions of the CIMPLICITY software are affected by CVE-2014-0751, a path traversal vulnerability that can be exploited for arbitrary code execution. This flaw was exploited a few years ago by Russia-linked hackers to deliver the BlackEnergy malware. “Although it's widely believed that Black Energy was developed by a state-sponsored hacking group (most likely Sandworm aka Telebots), the vulnerability is relatively easy to exploit and therefore it's easy to imagine that non-state actors such as cybercriminal organizations now have access to tools that can exploit the same vulnerability,” Atch explained.